As Sir Martin clears his desk, PRWeek has collected nine thoughts from the worlds of PR, journalism and agency life on the man, his skills, his temperament and his future. Writing on LinkedIn, former Burson-Marsteller UK boss Matt Carter gives a story that somewhat contradicts the money-focused image of Sorrell: "I remember emailing him when I was considering my next move. He replied within a minute and what followed was a lengthy exchange about opportunities. Most global CEOs wouldn't have replied, many would have passed me on to HR. He knew his business was about people and he was intensely focused on them. Oh, and the numbers..."
Justin Cooke, vice chair of Unicef UK and former CEO and founder of WPP digital agency Possible UK, said on LinkedIn: There are few people on the planet more driven and focused than Sir Martin... He demonstrated a forensic knowledge of your companies P&L. "I never had an email go unanswered. Often a succinct reply would appear in minutes. From dawn until dusk his commitment was Olympic. He was passionate about talent and despite a relentless work ethic understood the importance of family." 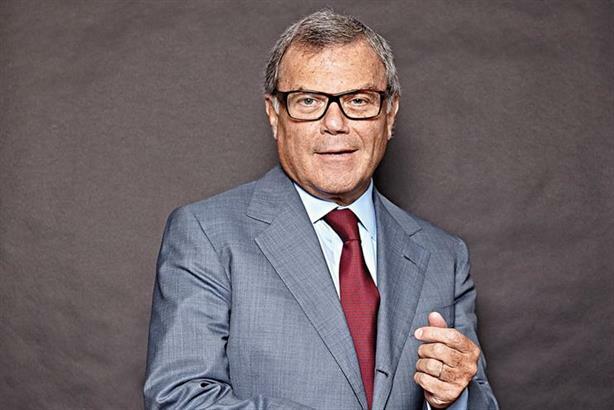 Several commentators, including the CEO of UK agency W and PRWeek editor-in-chief Danny Rogers, noted the timing of the news of Sorrell's departure. And right after the 10 o'clock news. "So long to the man who dismantled more wonderful agency cultures, than one can count. Good riddance," posted Canadian freelance creative Craig Redmond on LinkedIn - one of several to have rued WPP's impact on agency life. Redmond is not the only person with a less-than-glowing tribute to Sorrell. On the subject of his personality, Omnicom PR Group's Europe CEO David Gallagher remembered a meeting between the two, which PRCA chief Francis Ingham also recalled. Once chaired a panel with Sir Martin. He was cantankerous, a bit off topic and, well, will leave it at that. Nonetheless, Ingham and many others, including Finsbury boss Roland Rudd, paid tribute to his achievements. I doubt we will see the like of Martin Sorrell again. It took vision, risk, innovation, determination and energy to build a global leader. Some have some of those qualities; very few have all. The Guardian's media business correspondent Mark Sweney wrote yesterday: "Sorrell's unique relationship with WPP allowed him to run it autocratically with an iron hand – leading to a "Sorrellcentricity" that critics say had made it his personal fiefdom. These are methods his successor cannot hope to be allowed to employ." BBC business editor Simon Jack wrote of the man himself: "Sir Martin is a man of enormous energy and you wouldn't put it past him to create a new media empire. Jack said of his company: "I've never met anyone who could explain any logic behind the way WPP's empire was constructed, and some shareholders are now ready for a change." Financial Times columnist Matthew Vincent is one of those to mull the question of what Sir Martin does next. "Details of Sir Martin’s employment terms throw up another intriguing possibility: he could start a new business competing against his successor, if he wished to write his own final act of the WPP drama," he wrote. "Apparently, he is free to start a new advertising venture because he has never had a non-compete agreement, according to people briefed on the matter." However, others have dismissed this suggestion.